When sending something you love with a courier, never leave anything to chance. 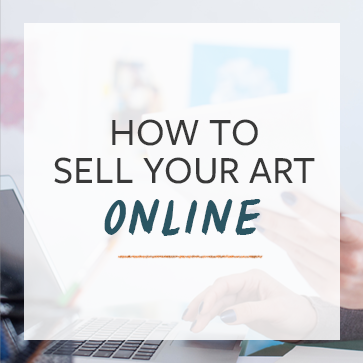 By following these basic packaging and shipping techniques, your art will arrive as you intended it too – intact and looking beautiful. The great thing about shipping with a courier is choice and flexibility. For art, the best two options for shipping is either with a new, triple ply cardboard box or a wooden crate. This guide will show you how to package both. The objective: To create a 12cm protective bubble around your art, including the cardboard box. This will ensure your goods are protected against all transit wear and tear. The execution: Start by first cleaning the glass panel connected to the frame. This is to stop any smudges or marks appearing on the glass. You will then need to wrap the entire frame and painting in acid free wrapping paper and tape down the edges. Now is the time to start your 12cm protective bubble. Take the bubble wrap and securely wrap your painting 6cm deep all the way round. Then take your tape and secure the edges to keep it firmly together. This will be your primary protection, so secure it tightly. We now need to make it even more resilient. First, take some spare bubble wrap and shape it into corner protectors. You want these to be 2 inches thick and secured with plenty of tape. Then take the two pieces of plywood and attach them on the front and back of your piece of art to create a protective sandwich. Secure both pieces with tape – your art package should be feeling solid and secure. Now you will need to take your new box and fill the bottom with 2 inches of loose fill. Don’t use packaging chips to fill any remaining space, they will just settle at the bottom – shredded straw and paper are best. You will then need to insert your packaged art into the box to rest on the loose fill. Once inside, fill the remaining space with any shredded straw, paper or bubble wrap so your goods cannot move inside. The objective here is to make sure the internal packaging of the parcel is not touching the inner walls of the box. To finish, secure the box with plenty of tape making sure to add tape to the hinges and flaps of the box. Then, run the tape three times in each direction around the box, much like a Union Flag. Attach your shipping labels to the box and secure with tape. Using a wooden crate? No problem. Sending art in a wooden crate is sometimes the best option as a crate can offer better protection than a cardboard box. Packaging the crate is very similar to what has been listed above – a 12cm protective bubble, with goods suspended within the crate and not touching the inner walls. You can buy wooden crates for shipping from most packaging retailers and are not expensive to purchase. You can also cheaply make it yourself. Here’s how. First you need to make the frame. Use your hard wood strips to create the basis of the frame. You can use a size approximation by building it larger than your art work, after it has been packaged. Leave the top strip unscrewed as this will act as your lid. You will then need to cut the two pieces of Masonite board to be the front and back of your crate. Secure them with the wood glue and screws. Now is the time to line the inside of your crate with bubble wrap and place your package inside. Place your packaged art piece inside of the crate and fill any remaining space with bubble wrap or paper. Avoid using Styrofoam, which can create static. Place the other piece of Masonite board to the top of the frame to become the lid. Secure this with wood glue and screws and check that it is water tight. You can label it with ‘open here’, for easy access. You will now need to attach your shipping labels to the crate so the courier driver knows where to take it. Staple these to the crate so they cannot become detached during transit. Check out this video tutorial from Agora Gallery. Heshaam Hague is a content writer at international courier service, ParcelHero. Curating content based on all aspects of the company as well as customer insights. He joined their marketing team in early 2015 after working for digital marketing agency, Forward 3D. Outside of the office, you’ll usually see him at Griffin Park as a long suffering Brentford FC fan. Need to know how to ship a sculpture? What about canvas? No glass or frame. With canvas, it’s important that nothing touch the surface of the painting that might leave an impression or otherwise damage it. For example, bubble wrap can actually meld with the surface of an acrylic painting, and leave a permanent texture! One way to protect a canvas is by putting in a shipping collar–a sort of half box that’s bigger than the Height and Width Depth of your painting. For my small paintings, I use mini pizza boxes. I Velcro the back of the painting to the bottom of the box, using Velcro tape, then tape a sheet of Hollytex (nonwoven polyester fabric that doesn’t stick to anything–even glue!) over the opening. That way if the painting comes loose from the Velcro during shipment, the only thing that will touch its face is the Hollytex. Golden Paints has a great video demonstrating this technique. Do a search on their YouTube channel to find it. Yes! I so needed this! Thank you so much!! AirFloat Systems (http://airfloatsys.com) sells packaging made specifically for shipping flat, unframed prints and artworks on paper, called PrintPads. They’re made of multiple layers of cross-grained corrugated cardboard, and are very sturdy and re-usable. For more money you can even buy them lined with puncture-proof plastic. When I made a lot of custom ketubot, they were usually done on full sheets of watercolor paper, and I always used PrintPads to ship them. Very good product, and much less hassle than trying to make something yourself! Years ago, before internet, I needed to ship art framed with glass to Alaska. It was my first time shipping. My husband made the crate. Okay, now this is the crazy part, I didn’t know what I was doing and hoped oit would workour silly idea would work. You know that insulation foam you spray out of a can? Ya, that stuff. We used that stuff to secure the edges To this day I wonder if the recipient received the art intact and wonder if he ever got the foam off the frame. He probably thought, stupid lower 48er, as he chiseled out the artwork. One of my tips for free large cardboard? Go to Costco and they have sheets and sheets of large corregated cardboard to separate product on pallets. I bring a pallet and take about 5-6 sheets when I go shopping. It’s great to help to protect my art. So funny – I was going to post about this very thing next month! This is the method I would suggest as well for framed art. However, unframed canvases are a bit of a different story as are small unframed works on paper. So much that goes into making sure your art arrives safely! Thanks Cory for this useful information. Will definitely come in handy! Frederic Lecut wrote a great blog post on shipping & packing mosaics that I’ll add here. I think I would definitely need to use bubble wrapping for my sister’s painting. She’s an amazing artist, and someone from japan bought her first big painting. She was so excited, and now she’s so nervous because she doesn’t want her painting to get damaged while it’s being shipped. I’m sure it will turn out okay. My mom bought a really nice painting and when it came it was damaged because it was not packaged well. So I can see why using wooden crates would be a good thing to use, my understanding is that they can take some punishment. I like the list on how to make a wooden crate so if I need to ship something of importance it can be well protected. Good advice for packing art to ship. It obviously depends on the kind of art but this was generally helpful. Thanks so much for sharing! I like what this article mentions about a wooden crate being able to offer more protection than cardboard. It makes sense that the wood would be more resistant to hard impacts. It’s something I’ll have to remember to make sure nothing gets damaged when shipping, especially overseas because fragile items can be at risk. I was planning on using a cardboard box. However, I’m glad that I’ve found out that sending art in a wooden crate is a much better option. I’ll need to go invest in one since my mother-in-law wants me to send her one of my oil paintings. A friend of mine moved across the country and left a few of her paintings behind. She’s gotten settled in and wants me to ship the rest of her art to her. It’s good to know that sending art in a wooden crate is the best option for protection. I am glad you said that a framed cardboard box id the most basic way to ship art. I am moving overseas and was wondering how to make sure my painting are okay. Thanks for the tips for parking art to go in a shipping container. This advice was great and very handy! I recently sold my first canvas painting and needed to ship it to the other side of the country so this advice was a great help. Thanks for that tip about using staples to secure the labeling. When that label falls off, it can be a nightmare. Would you still staple the labeling if it was a mailing tube with art in it?